WordPress is an open source blog publishing and content management system, based on PHP and MySQL. According to the latest survey WordPress is used by 54.9% of all the websites whose content management system we know. 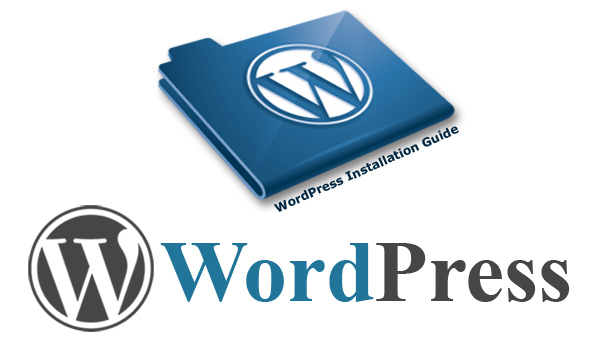 This is 17.5% of all websites.In this article I will share how to install WordPress. Grab your copy of WordPress from here . If you are working in windows environment than download WAMP software , Linux users can download LAMP. I am using WAMP software.Start the WAMP server. Create a directory by the name WordPress inside WWW directory of the WAMP software.Copy all the WordPress files inside this WWW directory. Hit the url Http://localhost/wordpress in your web browser and you will be redirected to a web page shown in the image below. The screen will ask you to create a configuration file, which you can, by clicking a button in the image and you will be redirected to the first step of creating a configuration file . Before moving on to the next step, make sure that the desired permission must be given to the WordPress directory, which allow WordPress configuration file to create. If possible set the permission as ‘777’ on the WordPress Directory.In case of linux use a command ‘chmod’. After clicking the Create a Configuration File Button you will be redirected to the Uri http://localhost/wordpress/wp-admin/setup-config.php which display a following screen. Before moving further create database with the help of phpmyadmin.Dont create any tables in database, WordPress will create them automatically.Now click the button “Let’s go!”. You are asked to fill the basic informations regarding your blog. Such as Site Title, Your login details , Email ID and Privacy setting. Fill all the fields and click the Install WordPress button and this completes your WordPress installation process . Visit the URL http://localhost/wordpress to access front end and a URL http://localhost/wordpress/wp-admin to manage your blog. So this comes to an end of WordPress installation Guide. Hope this Installation Guide works for you.